NEW YORK—Politics has always, it seems, been a form of theatrical entertainment, whether looking at the current race for the presidential nomination or to the past and any of Shakespeare’s historical plays. 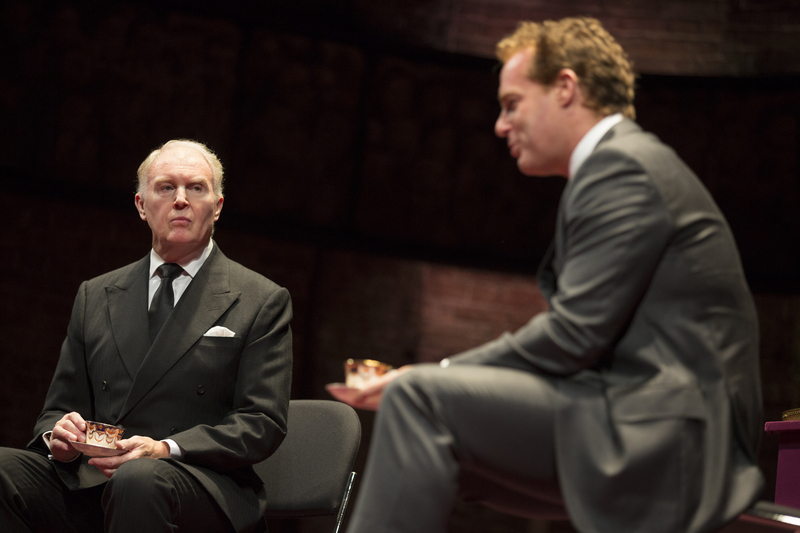 One would be hard-pressed to find a more brilliant example now than Mike Bartlett’s “King Charles III.” Shakespearean in tone and billed as “a future history play,” the work illustrates the line between one’s personal wishes and that of the greater good. In the not-too-distant future, the Queen of England has died after a reign of 70 years. Her son, Charles (Tim Pigott-Smith), ascends to the throne, and like any new ruler, Charles is eager to put his own stamp on the office. His first meeting as king is with Mr. Evans (Adam James), the British prime minister, in which Charles refuses to sign into law a bill restricting freedom of the press, feeling it would infringe too much on the rights of that entity. The content of the bill quickly becomes irrelevant. The question instead becomes can the king actually refuse to sign the bill or any legislation for that matter; and if he does refuse, can the bill still become law? Detailed notes in the show program provide a fascinating glimpse into the actual power of the British monarch. While the position has devolved over the years, it still possesses some strong teeth. The greater good is the people’s confidence in both the government and the monarchy. Charles utilizes these teeth when it becomes clear parliament will not go along with his requests to “try again” in regard to the bill. The results of his actions threaten to plunge the country into anarchy. 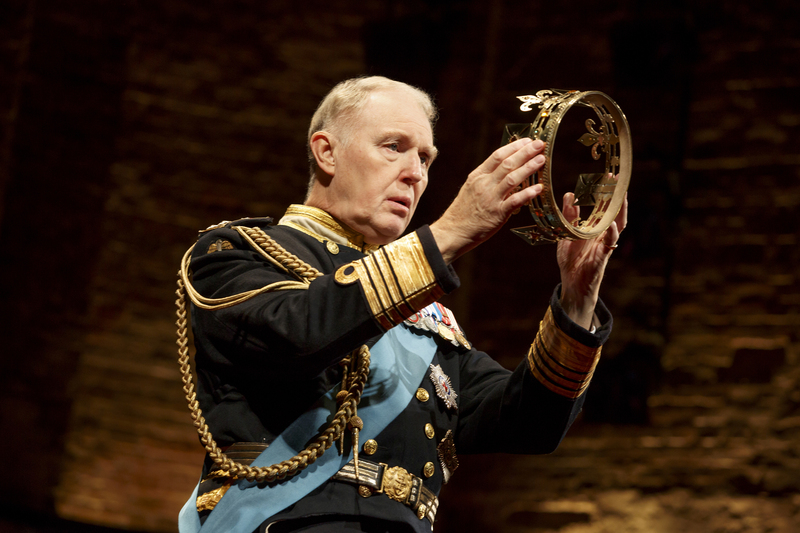 Expertly creating a background story of political scheming to actual events and people—which is what most of Shakespeare’s history plays did—”King Charles III” shows that Charles’s actions ironically unite both the ruling and opposition parties in parliament against him. All refuse to have their duly elected authority usurped. An American analogy would be a perceived misuse of presidential power. In Charles’s case, he firmly believes in the correctness of his decision, but that alone may not be enough to sway things his way. The main idea the play keeps coming back to is the sacrifice of one’s personal wishes when they come into conflict with the greater good. The greater good is the people’s confidence in both the government and the monarchy, no matter who happens to be in charge. Mostly we see evidence of working for one’s own aims. Mr. Stevens (Anthony Calf), leader of the opposition party in parliament, feels no compunction in continually pitting the king and the prime minister against one another for his own ends. Similar maneuvering occurs in the royal family by Kate (Lydia Wilson), wife of Charles’s eldest son, William (Oliver Chris), who is next in line for the throne. Kate carefully works behind the scenes to protect the interests of her husband, her children, and those of the generations to follow. These efforts basically are considered playing politics as usual by those around them. Charles, on the other hand, who seeks to go outside the acceptable relationship between king and parliament, finds his judgment and authority under attack. Bartlett also draws several parallels to King Edward III, who abdicated the throne in 1936 to marry the woman he loved. His personal wishes ran up against the greater good. In Bartlett’s text, Charles and Mr. Evans each say “something must be done” during their initial conversation over the bill; this is the same phrase Edward used when describing the plight of unemployed coal miners in Wales. Edward’s comments were seen by many as interfering with the British political process of the time. 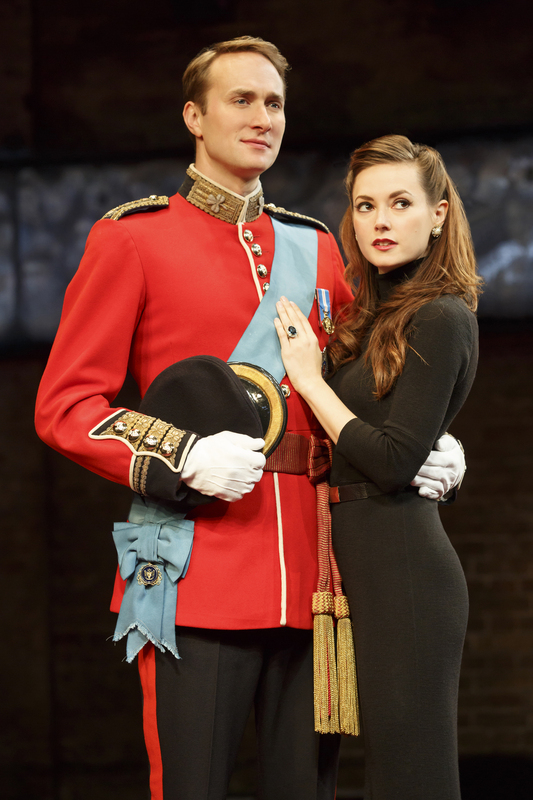 Also present is a parallel to Edward’s personal life via Prince Harry (Richard Goulding), who finds himself falling in love with Jess (Tafline Steen), a commoner and a bit of a revolutionary who would like nothing more than to see the British monarchy abolished. 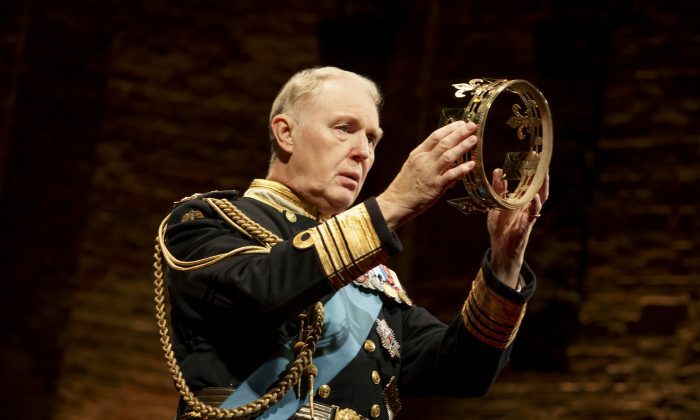 Connecting on multiple levels, watching “King Charles III” is akin to taking a political science master’s class. Pigott-Smith is outstanding as the title character. He plays a man who has waited his entire life to become king only to find himself challenged almost from the start by those who want things to continue as they are. Wilson is very good as Kate, who occasionally channels Lady Macbeth. She also gets in some good points about a system that still doesn’t give women as much overt power as it does their male counterparts. Calf is perfect as the schemer Stevens, manipulating other people to do his work for him while he plots his own power ascension. Goulding is quite enjoyable as Harry, nicely showing (thanks to Jess) his unabashed pleasure in discovering the simple things in life. Rupert Goold’s direction is very strong throughout, taking the principal characters, many of whom are public figures as well as frequent objects of parody or caricature, and making them, if not always fully formed, completely interesting. Many of the characters switch from almost wooden figures to ones with spines of steel and firm resolve. Also in the cast are Nyasha Hatendi, Margot Leicester, Miles Richardson, Tom Robertson, Sally Scott, Peter Bradbury, Lucas Hall, Rachel Spencer Hewitt, Gordana Rashovich, and Harry Smith. Judd Hollander is the New York correspondent for the London publication The Stage. 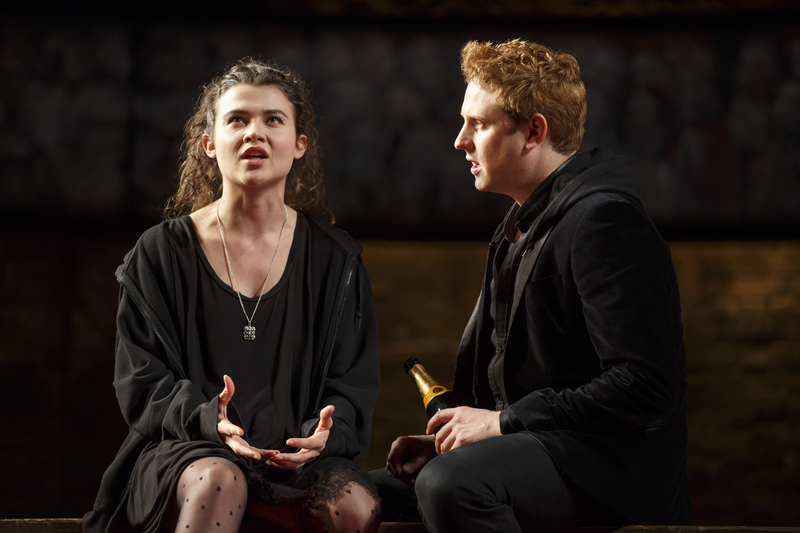 Richard Maxwell's penetrating "Isolde" is now at the Polonsky Shakespeare Center.